David is an ad man whose firm has taken on the marketing of Augmenta, an “Augmented Reality” device comparable to Google Glass with built in Photo Shop and some VR capability. As the stresses of the job pile on top of the relationship problems David is experiencing at home, he begins to experiment with Augmenta’s programs to pursue an affair within his Augmented Reality. Unfortunately for David, he may not be stable enough to juggle work, a relationship and two realities. Creative Control is an interesting take on the relationship drama with the occasional touch of humor and a slightly futuristic sci-fi setting, which combine to create an effective viewing experience. Writer, director and lead actor Benjamin Dickinson is clearly a filmmaker with a vision who should get a lot of attention for Creative Control considering it is only his second feature film and has a more fleshed out vision and stylistic tone than many directors accomplish in their careers. 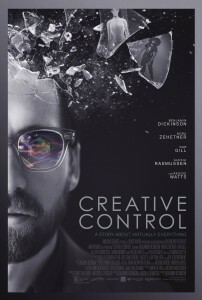 Creative Control is a well-written and fantastically acted film that walks a fine line between human drama and absurd humor while keeping all of its characters grounded and believable. Creative Control also utilizes slick black and white photography with touches of color, which gives the film a unique feel and also helps to establish its slightly futuristic setting. A quick encapsulation of Creative Control would be slightly future-ish “Mad Men” through the cinematic lens of Felini. 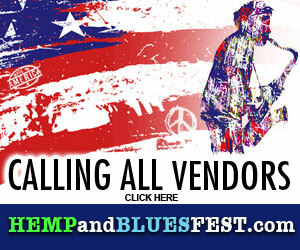 If that description piques your interest, then I would definitely recommend you check it out.